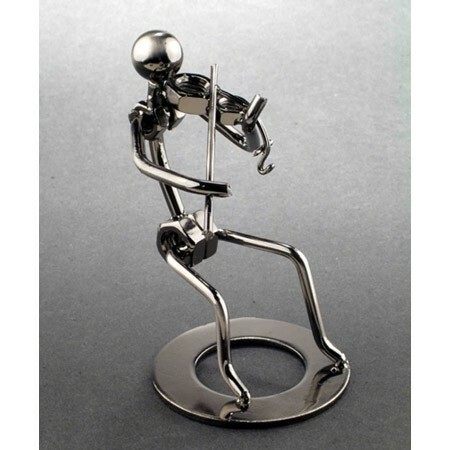 Violinist Figurine – Show your favorite violin player some appreciation with this unique music gift! Expertly sculpted from thick, metal wire and bolts, this violinist music figurine makes the perfect conversation piece for home, office or music studio. Approx. 6″ H.